Birth of Johannes Reuchlin in Pforzheim, Germany. Reuchlin was a scholar of ancient Greek and Latin who also developed a keen interest in Hebrew language and literature. 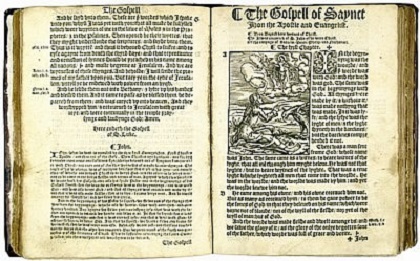 In 1509 the Cologne Dominican, Johannes Pfefferkorn, persuaded the emperor to order the destruction of Hebrew books because they were a danger to Christianity. Reuchlin’s principles could not tolerate this and he actively protested the ruling. As a result he was brought before the Inquisition. 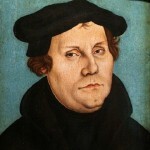 Due to an outcry by a wide segment of intellectuals of the day, however, he was acquitted of heresy. This experience did not drive Reuchlin from the church. When his nephew Philip Melanchthon joined with Martin Luther in the Reformation, Reuchlin sided with the church against his nephew. Birth of Johann Forkel in Meeder, Germany. Forkel was the first biographer of Johann Sebastian Bach Über Johann Sebastian Bachs Leben, Kunst und Kunstwerke (1802). Forkel died in Göttingen on March 20, 1818. Birth of Georg Friedrich von Martens in Hamburg, Germany. 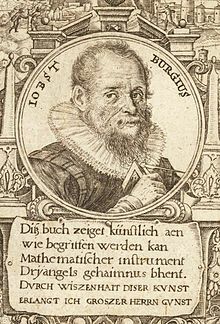 A professor of law at the University of Göttingen, he founded and edited the Recueil des traites which became and is yet today the world’s largest collection of treaties. Martens died on February 21, 1821 in Frankfurt am Main. 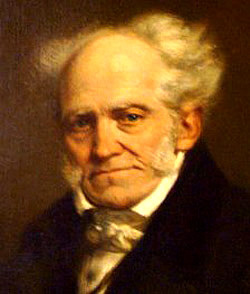 Birth of Arthur Schopenhauer (1788-1860) in Danzig, Germany (now in Poland). Schopenhauer was possibly the most pessimistic of all philosophers. 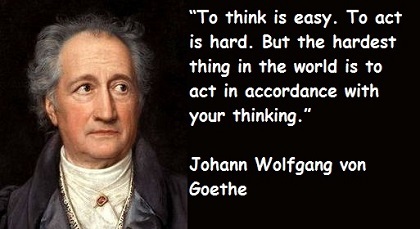 He encountered Indian philosophy while living in the intellectual atmosphere of Weimar in 1813-14. In building his own philosophy he would draw on the Indian as well as those of Plato and which he had studied at the university. His greatest work was Die Welt als Wille und Vorstellung (1819). 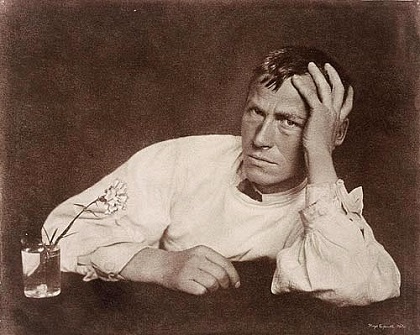 Shopenhauer’s writings had extensive influence on the thinking of Friedrich Nietzsche, Richard Wagner, Jacob Burckhardt, Gerhart Hauptmann and Thomas Mann. Death of Karl Friedrich Hieronymus Freiherr von Münchhausen (Baron Münchhausen) (1720-1797) in Bodenwerder, Germany. 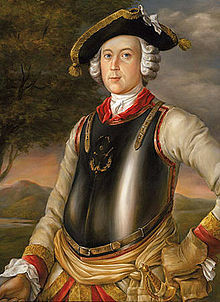 Münchausen had been a soldier in the Russian army fighting against the Turks. In 1760 he retired to his estates in Hannover and gained a wide-spread reputation as a story teller with his wildly exaggerated narrations of his adventures as a soldier. The first publication of his tales was in Vademecum für lustige Leute between 1781 and 1783. Rudolf Erich Raspe published a collection of stories based on the Münchhausen tales in London in 1785, Baron Munchausen’s Narrative of his Marvellous Travels and Campaigns in Russia. The first German color motion picture (at roughly the same time as the American Wizard of OZ ) was the story of Baron von Münchhausen. Birth of August Bebel in Deutz, Germany. Bebel was the co-founder of the Social Democratic Party (SPD) of Germany. He met Wilhelm Liebknecht, the other co-founder of the SPD, in Leipzig in 1865. The party was formed in 1869. 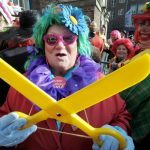 There were years of struggle and, for Bebel, years in prison, before the SPD won its first majority in the Reichstag in 1912. As a writer, Bebel had his greatest success with Die Frau und der Sozialismus (1883). 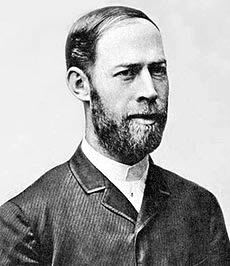 Birth of Heinrich Hertz (1857-1894) in Hamburg, Germany. Hertz, a physicist in Karlsruhe, discovered how to produce, send and receive radio waves. The scientific unit of frequency – cycles per second – was named the “hertz” in his honor. In 1892, an infection was diagnosed (after a bout of severe migraines) and Hertz underwent some operations to correct the illness. 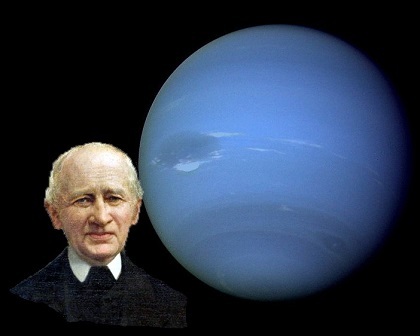 He died of Wegener’s granulomatosis at the age of 36 in Bonn, Germany in 1894. Heinrich Hertz’s daughters Johanna (1887–1967) and Mathilde (1891–1975) never married and he does not have any descendants. Birth of Hugo Stinnes in Mülheim, Germany. 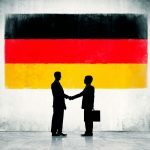 An industrialist, Stinnes, beginning with a modest operation established by his grandfather (Stinnes Konzern) in coal mining, expanded the business to include steel mills, banks, and electrical companies as well as transportation (Hugo Stinnes GmbH). During World War I he profited greatly from the supply of war materials. A member of the Deutschnationale Volkspartei, he was elected to parliament in the early years of the Weimar Republic. 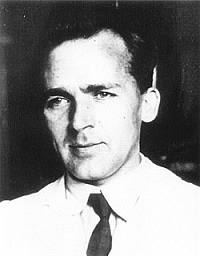 Birth of the chemist Fritz Strassmann (1902-1980) in Boppard, Germany. With his partners Otto Hahn and Lise Meitner, he discovered nuclear fission in 1938. Their discovery set the U.S. into a frantic search for the technology of the atomic bomb, fearing that Germany was very close to it. After the war Strassmann became a professor of inorganic and nuclear chemistry at the University of Mainz. Execution of Hans and Sophie Scholl, often referred to in German as die Geschwister Scholl (literally: the Scholl siblings), were a brother and sister who were members of the White Rose, a student group in Munich that was active in the non-violent resistance movement in Nazi Germany, especially in distributing flyers against the war and the dictatorship of Adolf Hitler. 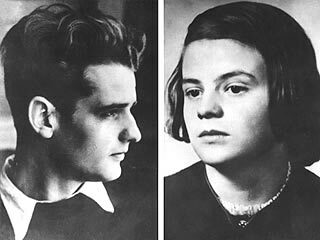 In post-war Germany, Hans and Sophie Scholl are recognized as symbols of the humanist German resistance movement against the totalitarian Nazi regime.